Just last month we were complaining about how Econet was dragging its feet in updating its EcoCash App which has been available on Android since March this year. The app had become ineffective because of the disabling of USSD long codes that run at the back of the app, powering every function selected.The good news is that the EcoCash App has been fixed with updates that became effective yesterday. 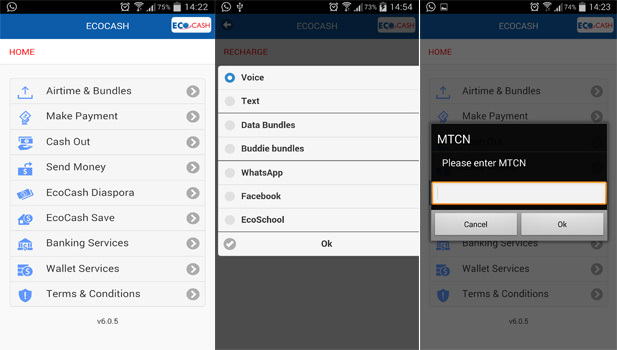 This latest version (v 6.0.5) has added all the services that had already been incorporated into the updated EcoCash USSD menu. The interface of the app has also been touched up. So what else is new? Well, you can now use the app to handle an EcoCash Diaspora transaction, pay for EcoSchool and buy airtime for different services like the Facebook and WhatsApp bundles as well as the Buddie Bundles of Joy. DStv is the only default biller listed on the payment option, other services still require you to enter the biller code. Services that haven’t been packed into this version are the new EcoSure and the Opera Mini bundles, a situation that Econet hasn’t also gotten round to upgrading on its EcoCash USSD menu. Looking at the reactivation of USSD long codes there’s also an opportunity for startups here. One can use the same long codes for their own payment option by putting a click to call option on the payment button with the USSD long code running behind it. When a customer clicks they initiate the EcoCash payment process in the same way the EcoCash app does. 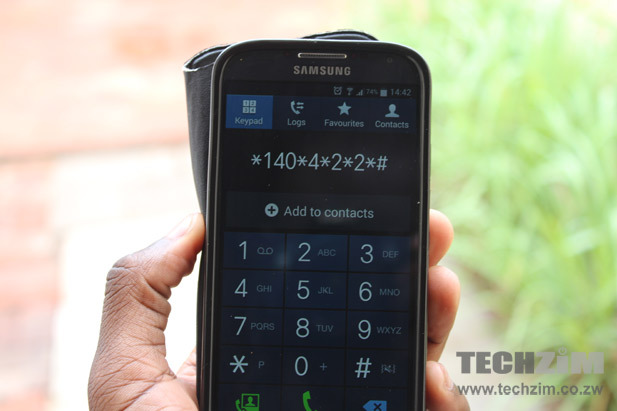 This is the same functionality that was used in the development of solutions like the Zimcodes app that has shortcodes for all the MNO mobile money services. What are your thoughts on the updated EcoCash App? What do you think needs to be included in later versions of the application? What about integration of the debit card into ecocash. I still have to sit there and punch in countless commands just to request a virtual debit card. Its called a biller not merchant – “DStv is the only default biller listed on the payment option, other services still require you to enter the biller code.” Thumbs up EcoCash check out the Econet Roaming app and Econet Connected Car app on play store. It seems they are now getting the hang of things. Thanks for the correction, we’ve made the update!